This is a collection of poetry unlike anything I’ve read before although the work that comes closest is O’Brien’s own play, The Body of an American. Both works are about the war reporter Paul Watson who won a Pulitzer Prize for his iconic photograph of the desecration of the body of an American soldier. Others have said that this book reads more like a lyric novel than a book of poetry. While I don’t disagree with that, taken individually, each poem presents a single haunting image that, for me, is the hallmark of memorable poetry. A recent poem in the Missouri Review, while not part of the book, is representative of the poems in the collection: The War Reporter Paul Watson and the Son of the Tortured. Some of these images are so horrific as to be nearly unbelievable, and yet we know that these are true stories, or if not exactly true, they represent the truth of war. 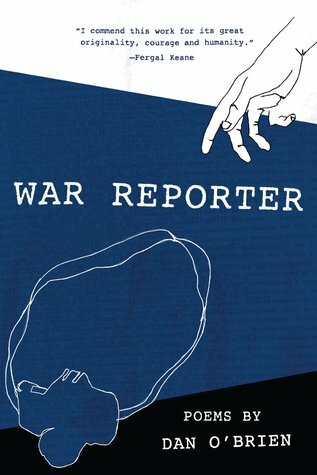 In poem after poem, we are shocked again by what the War Reporter Paul Watson has seen and, not only that, what humanity has perpetrated on itself. It is important, life-changing stuff, a story that needs to be told. O’Brien has done so brilliantly.